My first piece of advice for anyone interested in tracing their family history is to use resources that require no money at all. That’s right there are free genealogy products and services out there that you can utilize. 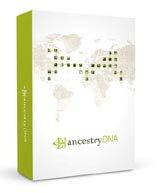 You CAN find information about your ancestors for FREE! You just need to know where to look. Luckily I have done the hard work for you and have found plenty of free genealogy resources that you can use. 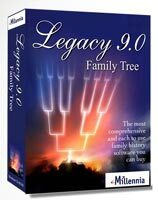 Free Genealogy Guides and Resources! As you can see from the following posts there are plenty of ways that you can research your family tree without spending any money at all. I plan to continually add more guides, so please keep checking back for more helpful information right here. Check Out Free Resources Before You Buy! Sometimes the only way to get access to what you really want will be found at paid subscription sites, or through DNA testing for example. But before you do go down that path first take a look at the free options that are available to you. Why pay when something is free? It is definitely worth checking if you can get something for nothing before you go ahead and hand over your hard-earned money. That is why I have created this section of the site, to show you what free guides and resources that you can use. That’s right everything that I have found to be free is right here on this page.